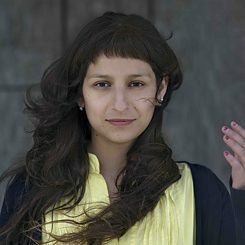 Lina Gómez, Colombian choreographer and dancer based in Berlin. She received an MA degree in Choreography at the Inter-University Centre for Dance HZT-Berlin and a BA degree in Communication of the Arts of the Body with emphasis on Dance and Theatre from the Catholic University of Sao Paulo - PUC-SP in Brazil. © Martina Thalhofer Her recent choreographic research was supported by the Einstiegsförderung 2017 and the Einzelprojektförderung 2018 of the Berlin Senate. Her work Restraint had its premiere in the Tanztage Berlin 2018 at the Sophiensaele Berlin and is part of the Tanznacht Berlin in August 2018. With the support of the Goethe-Institut in 2018, Lina took part in the Encuentro Internacional de Jóvenes Creadores at Taller Casarrodante in Montevideo, Uruguay. Lina’s previous works STAUB [Poeira Surda] (2016) and Devaneios Sobre o Desaparecimento - Träumerei des Verschwindens (2015) were presented at Uferstudios-Berlin in the framework of the MAC Programm-HZT Berlin. In collaboration with Julek Kreutzer, Lina also developed the project Choreographies of Fear, Responses to Invisible Strategies (2016) during an artistic residency at the Centrum Amarant in Poznan, Poland. Her work Estudosparaocorpocomotradutorpoéticodaimagem (2015) was sponsored by the Goethe-Institut to participate in the Festival Circuito Vozes do Corpo in Brazil. During the bangaloREsidency@Attakkalari, I wish to establish a common ground where all the singularities, different artistic approaches and diverse backgrounds of the participants could dialogue and give life to a collective and specific way of work. During the two-months residency my aim is to collect needs and wishes from the people involved in the process, which will be the fuel for the creation of a collective choreography. Berlin hosts my words and with each letter I type, I go back in time, I feel the bursting space, I hear the horns, I remember my many “locationmadame” and full of joy I’ll try to resume (in words of a non mother tongue) how was my time during the bangaloREsidency. 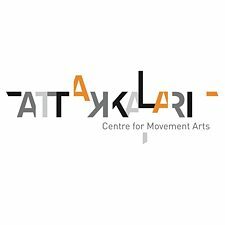 First was to tune with the host, in my case, Attakkalari, a dance school, a reference for the contemporary dance scene in India, as I could observe, and a really important place for the dance community. 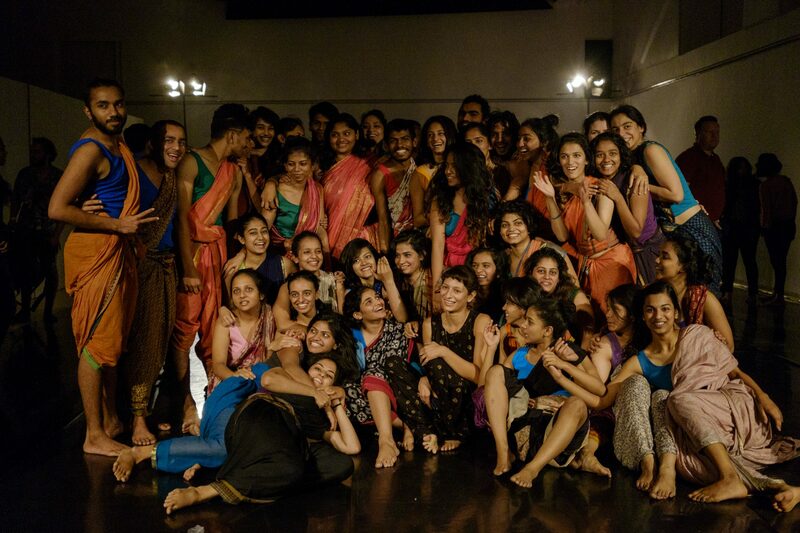 In my point of view, it is also a place that is fighting with a narrow concept of education in contemporary dance. Going back to the tuning mode, the tuning was established first with the students, slowly and in a really beautiful and organic way. Their curiosity, generosity and hunger for learning was amazing, and embraced me in a really magical way. I spent my time with around 40 students from the 1st year and around 22 from the 2nd year, each of them dedicated and passionate, with a lot of expectations and ready to break free! Then the tuning with the persons responsible for planning and practicalities. They were super flexible and ready to make some changes in the schedule according to my necessities. With the artistic direction, the communication and conversations, that by the way were always suggested by me, were short and based on practicalities, with no exchange of artistic interests, feedback or any demonstration of interest in my artistic practice, but yes, focused and worried with the amount of technique that I could teach the students and in the potential public showing of it. The Artistic Director together with his team was always supportive regarding my accommodation and health though. To be honest, my expectations about artistic exchange, in this sense, were a bit frustrated. I always counted on the amazing mediation from the Goethe-Institut, which made things easier and made me feel I was supported by them in many aspects all the time. As I understood it, the premise of the bangaloREsidency is that each artist collaborates with a chosen host, and by collaboration I imagine a dialogue, where the desires, necessities, interests of both parties could be shared and fuel the project. I keep on asking myself about the specifics of each field of the arts, and how this could play a really important role for these collaborations to happen. Thinking about that, some questions come to me with regard to the field of dance: Why when one thinks about a dance project does one automatically think in formats of classes and teaching? Why are dance artists often confused with teachers? Teaching requires amazing qualities and specific sensibilities, teaching is one of the most difficult things to do in the world. Not every dancer or choreographer has to be a teacher and vice versa, there are certain specifics for each profession. In my opinion and based on my specific experience, the collaboration between host and resident should be discussed with more care, underling the specifics of the necessities of both host and resident, and clarifying what is expected from both parties, in order to avoid frustrations or misunderstandings. Here specifically I think that time should be given to the reflection about the role of each, the host and the resident. And this should be discussed and clarified before the residency starts. Of course we always count on flexibility in our practice, but it is good to have a more stable and shared base to begin with. In the overall process of being an artist-in-residence, I find myself grateful, privileged, lost, secure, and really happy. Besides the health obstacles I had during my residency, I managed to generate a dialogue with the students, to make them reflect on what they are doing, to awake in them the conscience about the choices they make while in a creation process. From the feedback I got from the students, I managed to provoke them and open some doors. At the same time, I was provoked by them and had the opportunity to explore unknown places as well. I also had the opportunity to share with a really diverse audience the outcome of my residency project, offering them a really different perspective of contemporary dance, presenting a different way of using the body on stage, a body that is able to share reflections, thoughts, ideals, struggles, urgencies. A body that is present in many ways. I tried to reinforce that there is no formula or unique way to experience dance, as mover, as maker or as audience member. All these aspects were the motor of my residency from the time of my initial proposal. To my surprise, during the process I ended up developing two parallel projects, one initial one with the students of the second year, and one that came up organically during my time with the students of the first year. I wish I had more time, 8 weeks sounds like a lot of time, but it is not. The residency could be longer. Bangalore is another context, busy, calm and intense, full of movement, the body needs time to tune. Now it’s silent, and outside the space embraces a cold wind, travelling free, finding no obstacles, the street is empty. There is no turmeric smell. I tried my best with these words, as I tried my best during the 8 weeks of the residency, with pleasure.